Texas Tigers: We're going on a frog hunt…. 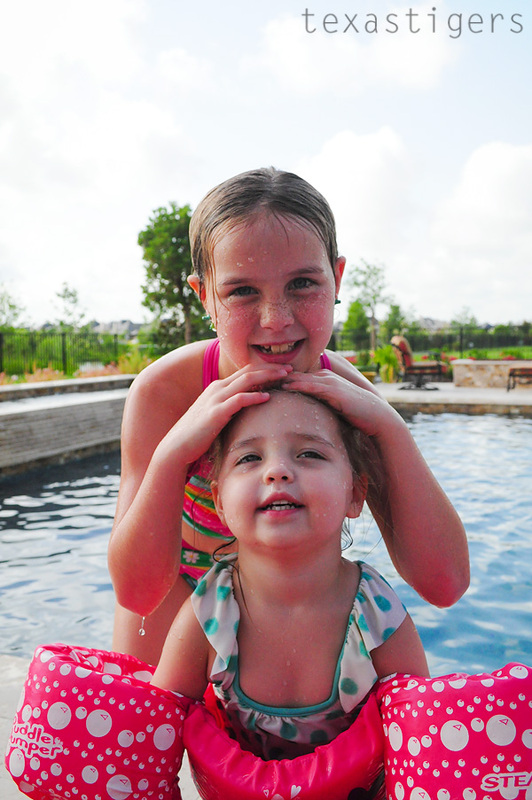 Gigi and Pops have an awesome pool in their backyard - which is always the first thing the kids want to do and who can blame them? 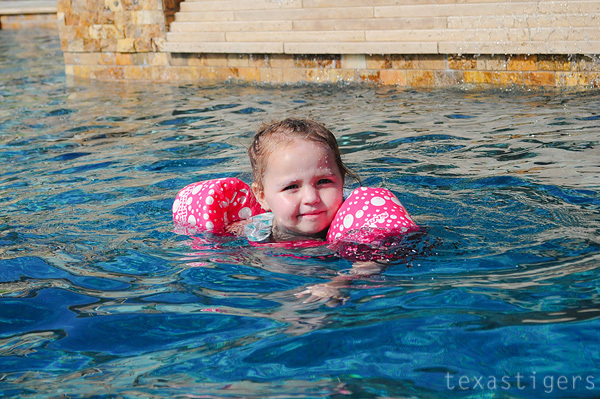 Lexie was a pro at swimming all around the pool in her puddle jumper by the end of the first day in Gigi's pool. She hardly ever said 'help me, help me' like she does at the Y pool when she gets further away from me than arms reach. 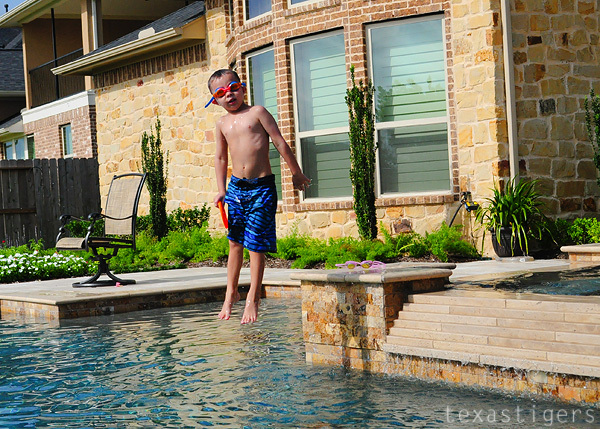 Of course it's not just the pool that has captured their attention at Gigi's house. It's also the frogs that have seemed to make it their home. All the landscaping plus the pond right behind their house has seemed to be sending out an invitation for baby frogs to come and jump in the pool. 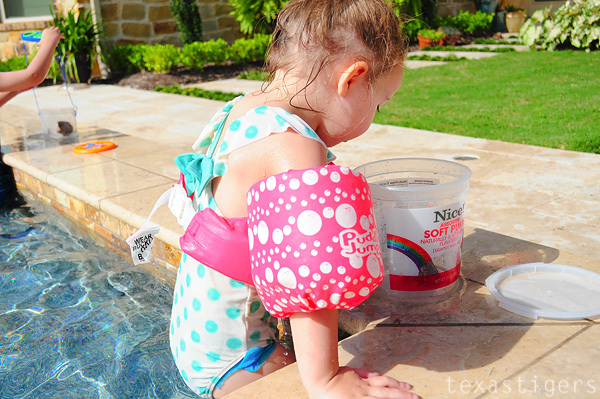 Gigi at one point found 7 of them all piled on a tiny (no bigger than you palm) plastic toy dinosaur floating in the skimmer basket. 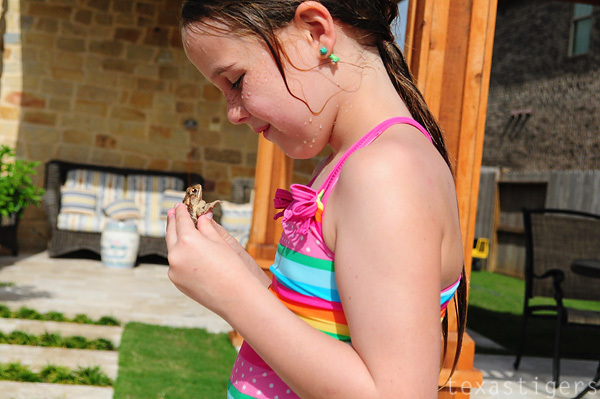 Both Abby and Micah became pros at catching the frogs and loved to play with them…. a little much for my liking! 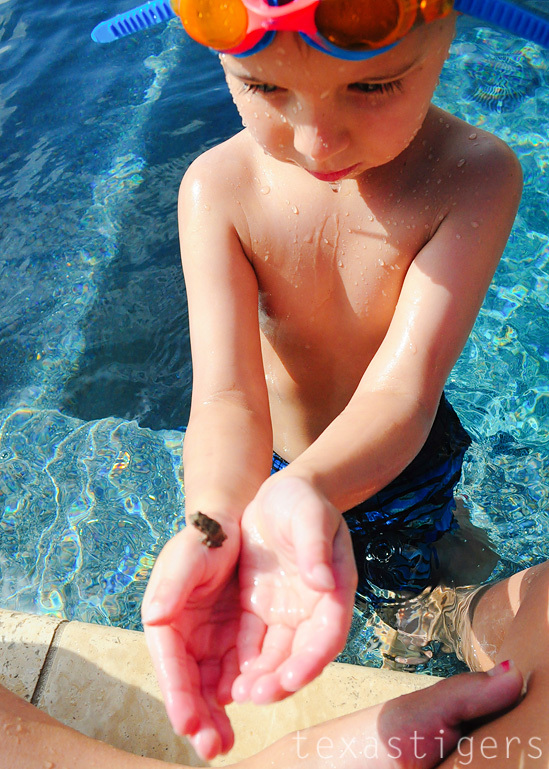 Micah tortured his frog a couple times jumping in with them… he also did great with his swimming while we were there. He made it the long ways with using his big arms a couple times. A little more practice and he just might be able to pass the swim test at the Y this summer and be able to go down the slides. 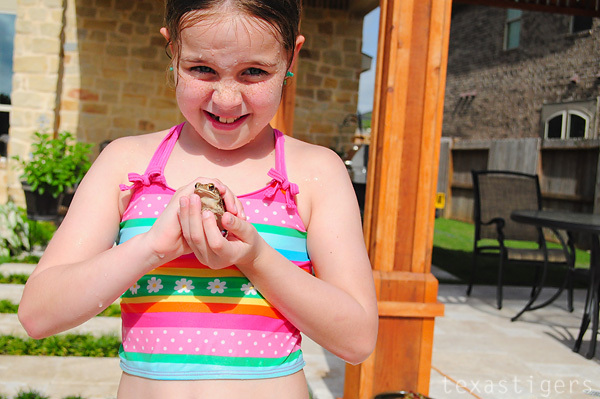 Who knew a few little frogs could keep kids so entertained? 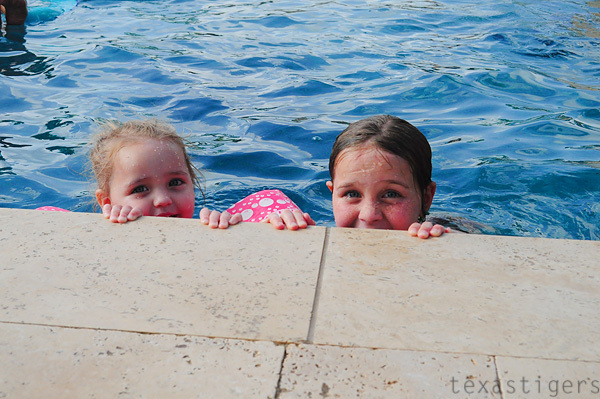 It's the first thing they wanted to do the second time we came - right before getting in the pool to swim. They would barely stay inside the house if we didn't tell them they couldn't be outside without a grown-up. I guess I shouldn't be too shocked. My parents do have a picture of me with a teeny tiny frog like Micah was holding on my nose. Unique experiences like that are almost magical! What a fun way to spend the day. I wish we had Nordstron's! Shopping online isn't the same. The pool is so pretty.